The religious order gathered the guaraníes in the missions. Some communities still live in the Litoral. Upon the arrival of the European conquerors, the guaraníes were a semi-nomad population living mainly on hunting, fishing and harvesting. 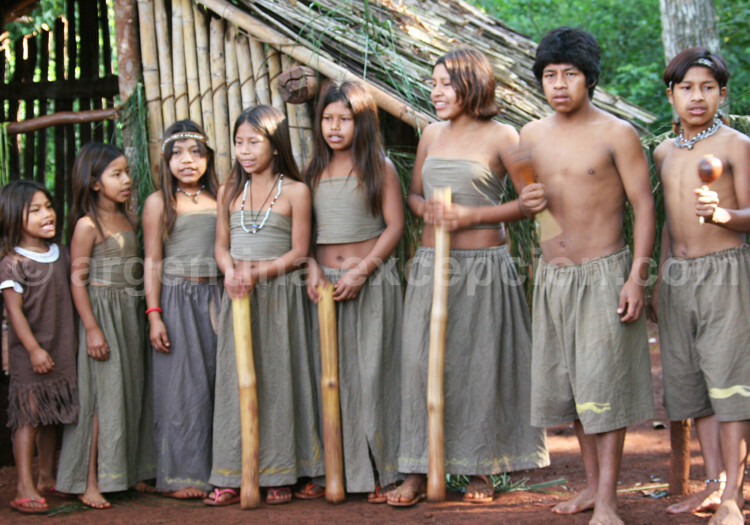 The tupi-guaraní and karaivé-guaraní speaking groups lived in a vast territory, from Guyanas to the North of Argentina, from Brazil to the East of Bolivia. The Guaraní villages were settled on the banks of the Paraná, Uruguay and Paraguay rivers up to the Delta islands on the Río de la Plata. They were socially organized in families living in one single big communitarian house, the maloca. The cacique distributed the lands and the women to the polygamist heads. They grew corn and cassava, with which they made a fermented beverage called chicha. They discovered an herb to chew or make hot drinks: yerba mate. Guaraníes inhabited hot regions and they lived naked, with their bodies ornamented with jewels and paintings. The important moments of live –entrance to adulthood, marriage, birth, death- were celebrated in ritualized parties with songs and dances. Guaraníes believed in life after death and tried to reach Land without evilness helped by the chamanes. Their anthropophagic practices constituted the biggest clash with the Europeans. This cannibalism had a ritual explanation and was practiced mainly against their Tupi enemies. Guaraníes chose to join the Spaniards, the armed white men, to help them face their enemies. But they soon ended up submissive to the package system obliged by force to do the most difficult jobs. Their population was partially destroyed by the illnesses unknown so far: influenza, smallpox, etc. When the Jesuits started to settle down their missions, they thought of them as their last resource, a means to escape from servitude. After the expulsion of the Jesuits, some of them came back to the woods, others went to work for the white men and the creoles. The Jesuits translated from guaraní, the only aboriginal language considered as an official language in South America, Paraguay. In 2004, guaraní was recognized as the second official language of the Argentine province of Corrientes, and as an official language of the Mercosur together with Spanish and Portuguese, in 2006. The province of Misiones was named after the missions that settled down there. 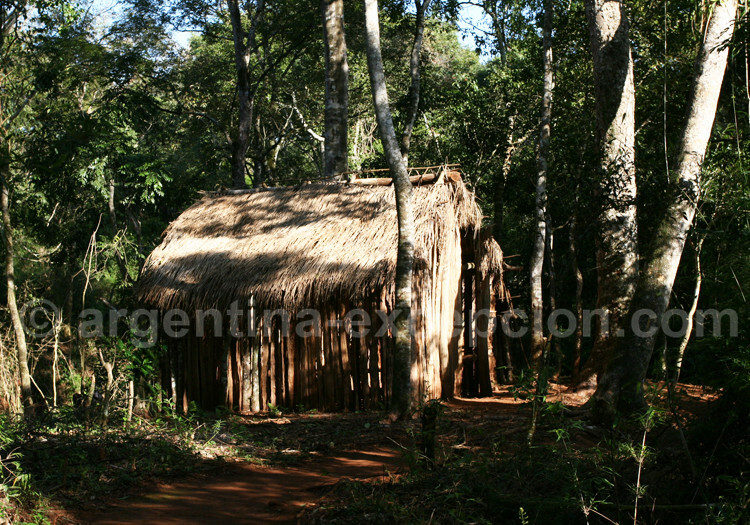 Approximately 3,000 to 5,000 guaraníes live there in about 75 villages. 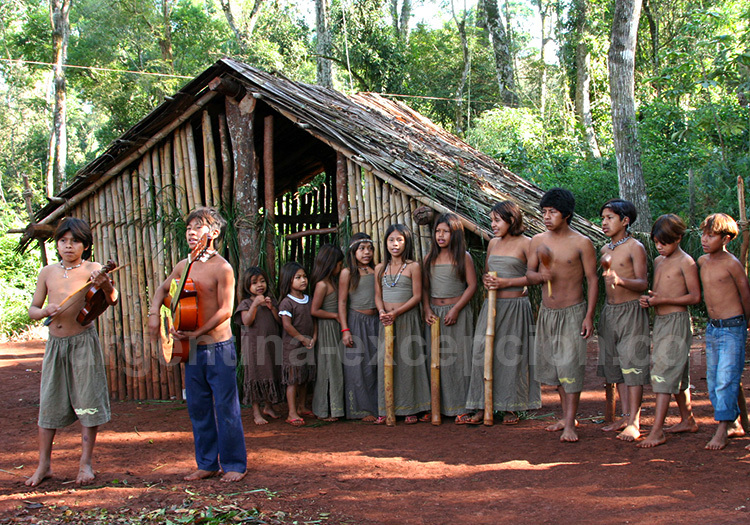 Eight communities are settled down in the jungle in the Yabotí Biosphere Reserve. 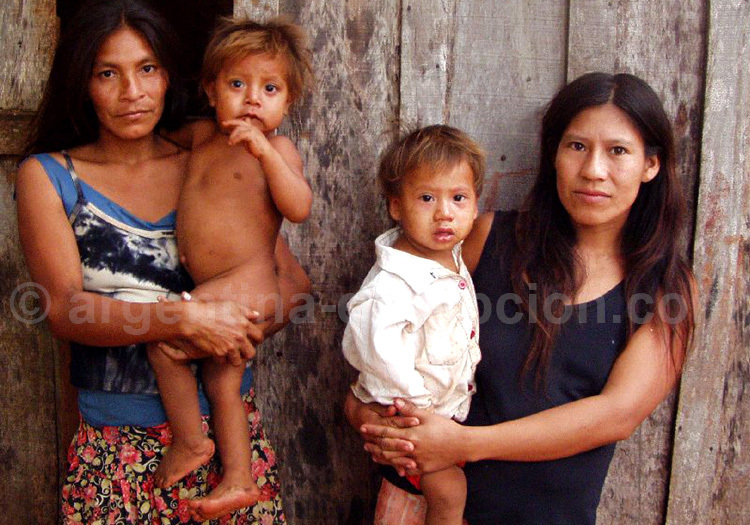 Guaraníes still live in Paraguay, in the Brazilian Southern region and in the Argentine Northern region, where 14,000 people declare to belong to the guaraníes according to a survey about the aboriginal populations carried out in 2004-2005. Their way of living is extremely poor as they have been deprived of their traditional lands by farming and cattle-rearing: they lack lands, they are victims of bad nutrition and diseases such as tuberculosis. Some of them have preserved their traditional nomad life hunting, fishing and harvesting. As many other aboriginal populations, the guaraníes respect the Earth and, thus the environment, and are reluctant to the western ideas of private property and business negotiation.